This is true French history! 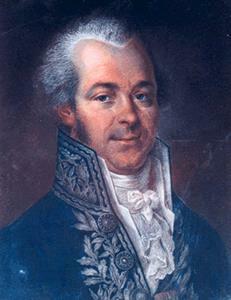 Member of parliament (MP) in 1789, member of the convention, born in Annot (Basses-Alpes). 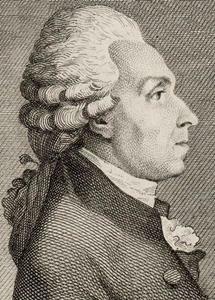 November 29, 1738, died in Paris April 16, 1793, was a lawyer in Annot at the time of the revolution. MP of the Third Estate, Verdollin was Associate Dean of Commons, took the oath of the Jeu de Paume, became part of the feudal committee and nodded with most reformist. After the session, he was appointed (September 7, 1791) Attorney General Lower Alps trustee and returned to the National Convention as a member of the Lower Alps, elected on 1 of 6 by 221 votes (306 voters). He “voted for imprisonment and banishment” in the trial of Louis XVI, and died three months later. was born in Champdeniers-Saint-Denis on 24 January 1750 and died in Poitiers on 17 July 1825. He was a French politician and Minister of Police. He was born into a bourgeois family that was formerly Protestant, a religion they were required to recant. Lapparent was elected deputy of the Third Estate, and he held important functions in the National Convention, in the armies of the Republic and the committee of public health. On 9 Thermidor, he participated in the fall of Robespierre. During a meeting of the French Directory he was appointed minister of police. However, he was accused of being royalist and deported. 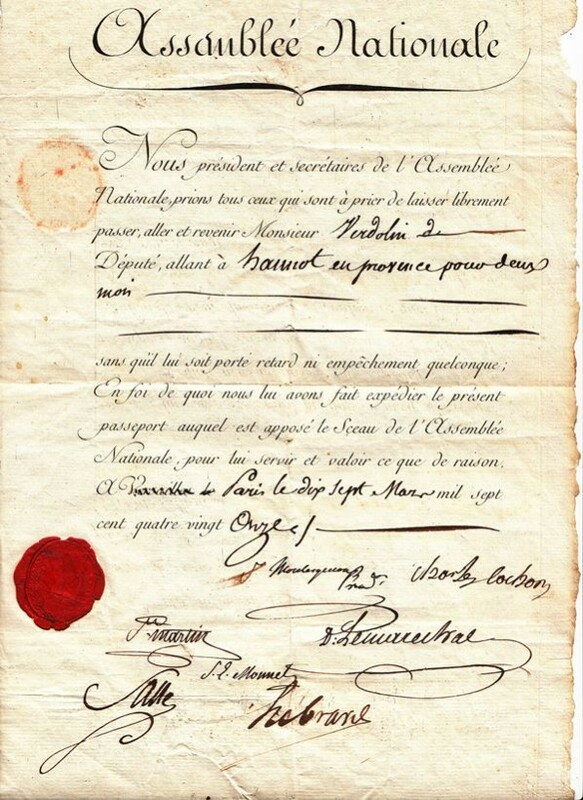 During the time of the Consulate and the First French Empire, he held important posts, in 1815 he was forced to leave France, being allowed to return to Poitiers after exile. 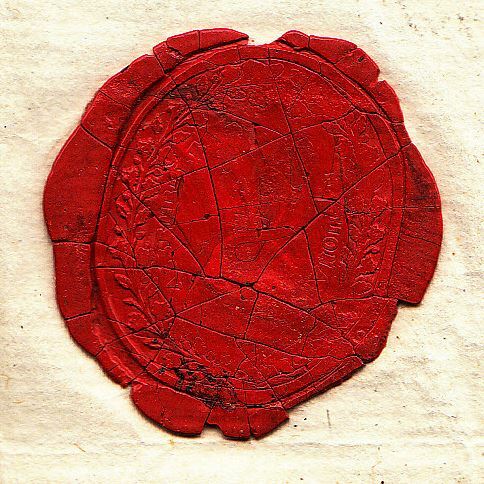 The passport comes in an excellent condition, handwritten document (33cm x 21.5cm) with the wax seal of the National Assembly (complete with small cracks). A fantastic document and actually a museums piece! During the French Revolution, the National Assembly (French: Assemblée nationale), which existed from June 13, 1789 to July 9, 1789, was a revolutionary assembly formed by the representatives of the Third Estate (the common people) of the Estates-General; thereafter (until replaced by the Legislative Assembly on Sept. 30, 1791) it was known as the National Constituent Assembly (French: Assemblée nationale constituante), though popularly the shorter form persisted.